Cheng, Wendy. 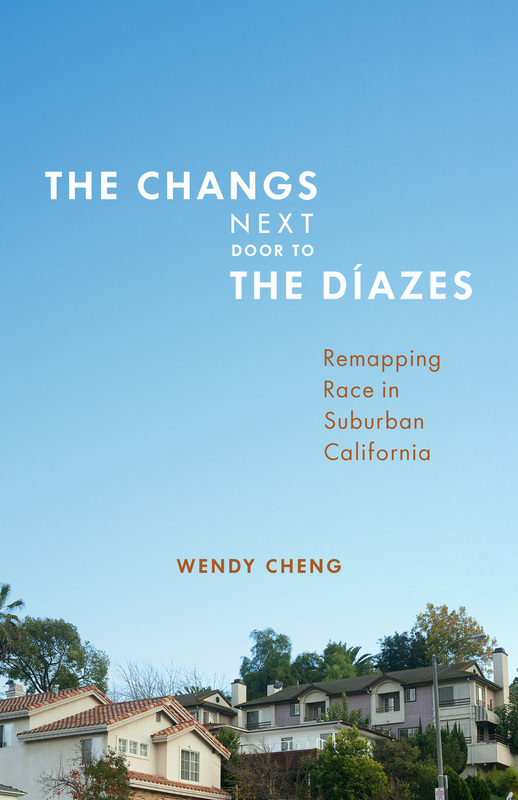 "The Changs Next Door to the Diazes: Suburban Racial Formation in Los Angeles's San Gabriel Valley." 2013. Journal of Urban History 39:1, 15-35. Cheng, Wendy. "'Diversity' on Main Street? Branding Race and Place in the New 'Majority-Minority' Suburbs." 2010. Identities: Global Studies in Power and Culture 17:5, 458-496. Cheng, Wendy. "'New Topographics': Locating Epistemological Concerns in the American Landscape." 2011. American Quarterly 63:1, 151-62. Cheng, Wendy. "City of Quartz at 20: The Other Valley and Unincorporated Dreams." 2012. Human Geography 5:3, 88-93. South El Monte Arts Posse Reader, East of East: Mapping Community Narratives in South El Monte and El Monte: “A Brief History (and Geography) of the San Gabriel Valley"
The Feminist Wire: "Silence Does Not Equal Absence: Lessons from Arizona"
Berfrois: "Ten Things You Should Know About Los Angeles"
Los Angeles Review of Books: "The Black Panther Party Headquarters and Other Invisible Places"
Hyphen Magazine: "Remodeling the Minority: The Prospects for Vietnamese Americans in a 'new' New Orleans"